This herbal concentrate enhances male energy, activity and vitality levels while supporting the male reproductive system, including prostrate. 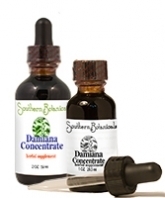 It supports sexual, glandular and nervous systems to promote overall male health. Male Energy Concentrate accomplishes all of this through a unique blend of herbs that improve circulation, boost energy levels, and support hormone levels . 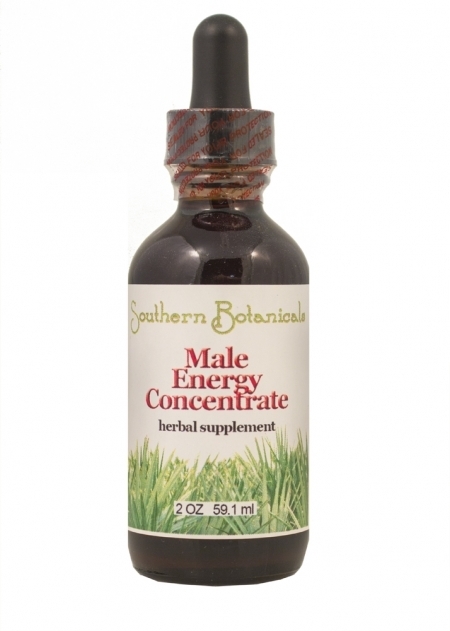 My husband loves Male Energy Concentrate, he was fairly depressed, no energy and just lack of motivation. Now he is way happier, has lots of energy, in fact he joined a gym and has more energy than I do! He takes male energy formula about 3 times a day, one to two drops every time and loves it; he cannot wait to see everything else you have. - S. M.
Organic and Wildcrafted Ingredients: Saw Palmetto berry, Wild American "Blue Ridge" Ginseng root, Chinese and Korean Ginseng roots, Eleuthero root, Sarsaparilla root, Yohimbe bark, Oat seed, Kola nut and Ginger root in a base of distilled water and certified organic GMO-free alcohol.